Properties and structures near waterways often develop buildups of mud and other filth. That’s why Wingbrook Marine Pty Ltd provides reliable, high-pressure cleaning services to the Gold Coast region. As marine specialists, our team helps you keep your surfaces clear of even the most tenacious dirt. We often clean boat ramps, docks, beach facilities and more. Cleanliness not only builds trust with customers but also helps you and your loved ones feel welcome at a facility. This is especially true for waterfront properties. 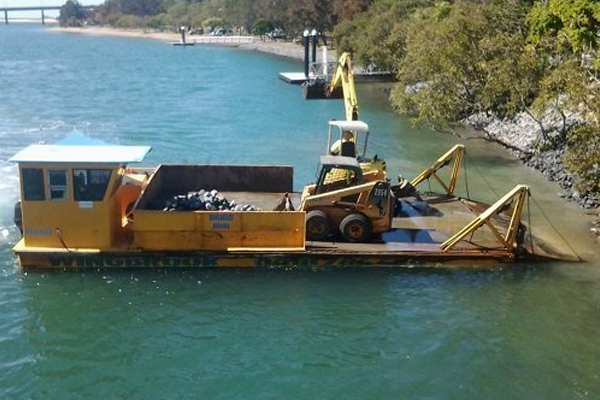 Wingbrook Marine Pty Ltd is a preferred Gold Coast city council contractor. You will love our attention to detail and how we will leave nearly any surface looking like new with our professional pressure cleaning services.